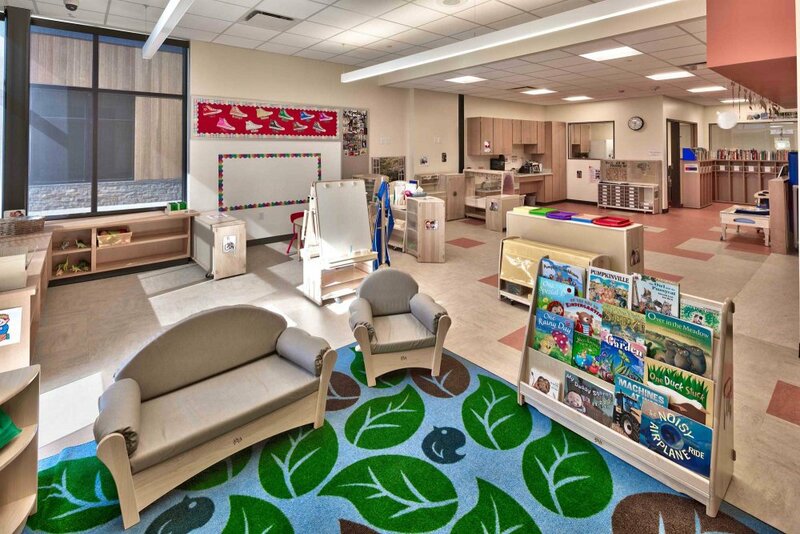 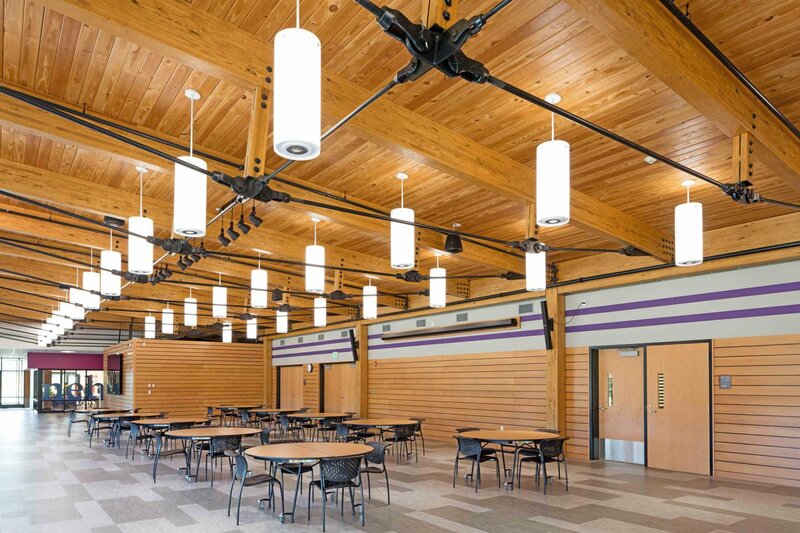 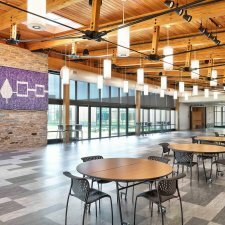 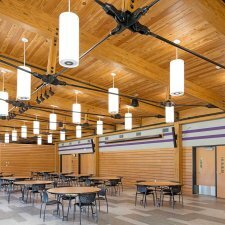 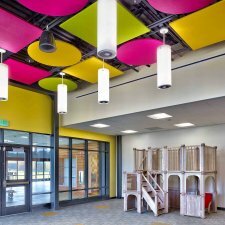 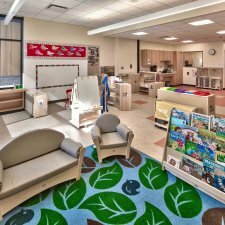 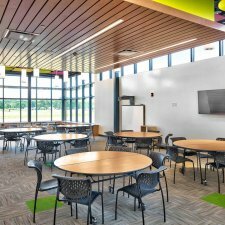 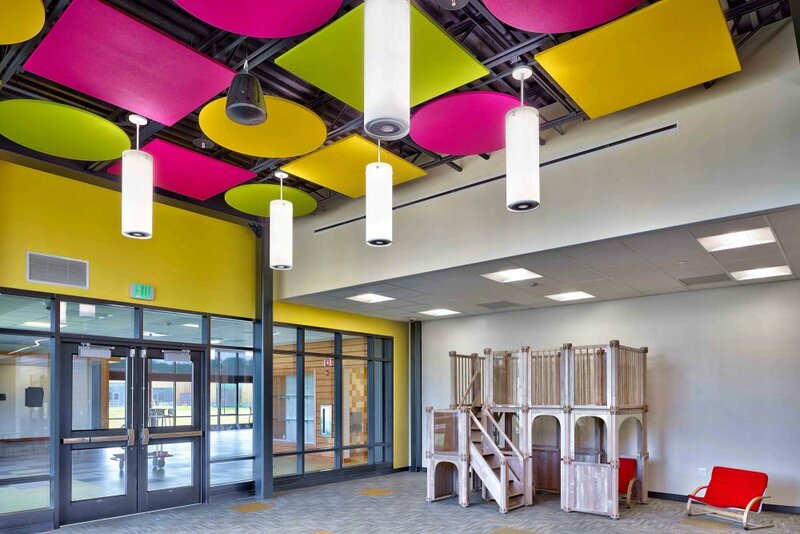 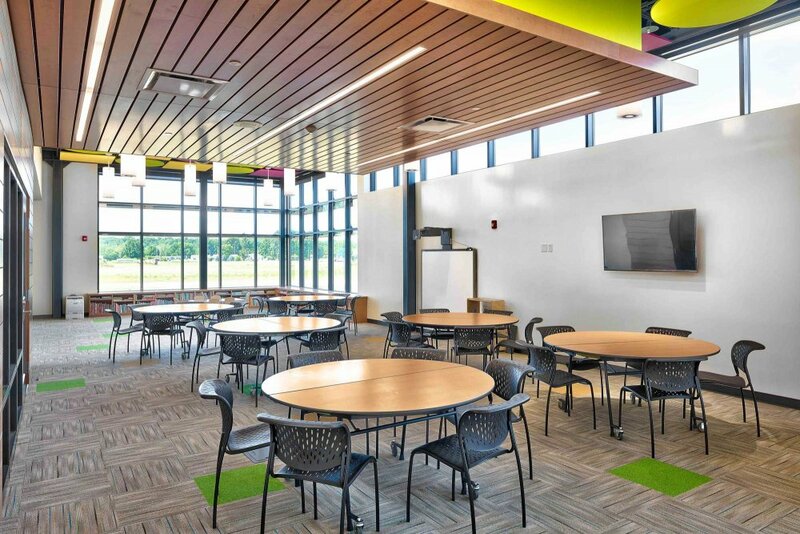 M/E Engineering designed the HVAC systems that included the design of slab heating systems in the classrooms and Port Cochere, geothermal heat pump system, ventilation and exhaust systems, and a direct digital building management and control system. 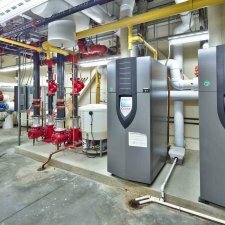 The plumbing systems included all domestic water, sanitary, storm, vent and gas systems. The fire protection design included a complete system layout with hydraulic calculations and dry pipe systems for the Port Cochere and courtyard overhangs. 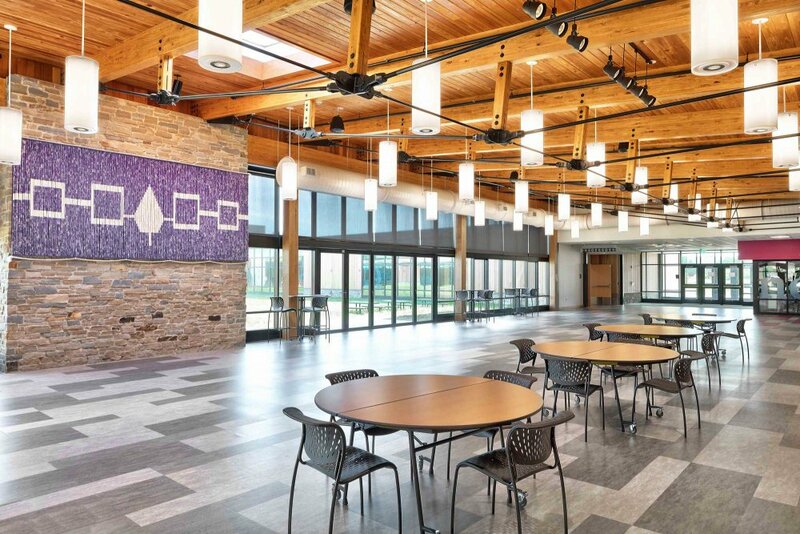 The electric systems included all required power, fire alarm, low voltage, security including door access, cable TV, clocks, and lighting throughout the building, as well as the façade parking lots and outdoor play areas. 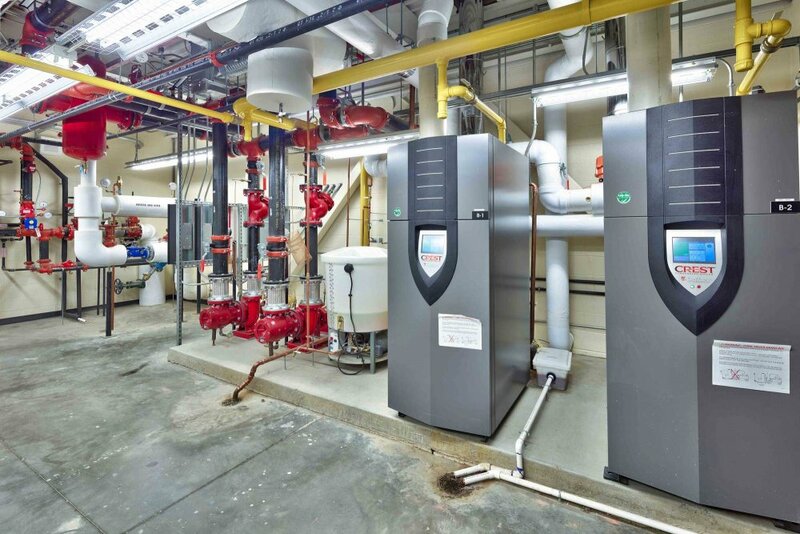 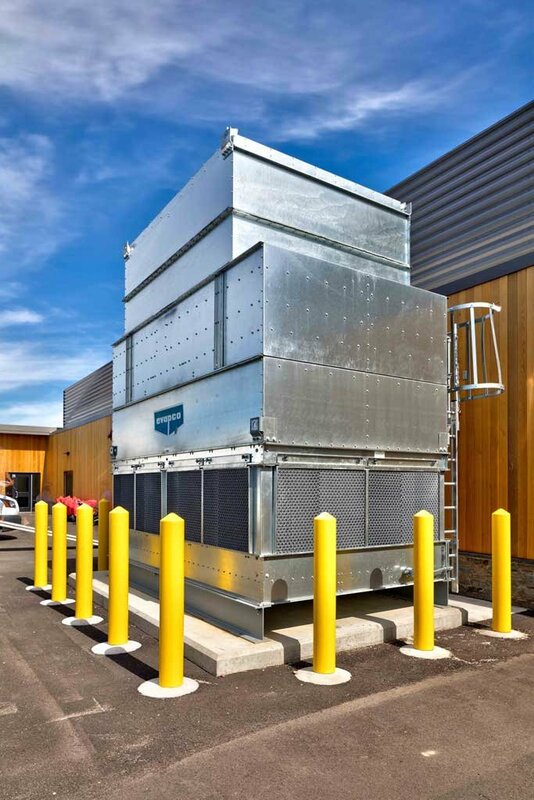 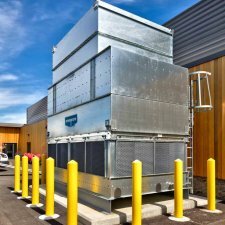 Due to budget constraints, an evaluation of all mechanical, electrical and plumbing systems was completed which deleted the geothermal heat pump system and was redesigned to a traditional water source heat pump system.